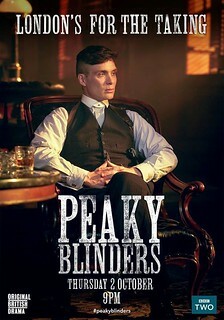 It’s the moment we’ve all been waiting for: Peaky Blinders is back on our screens! Starting next Thursday, 2nd October, I’m sure most (if not all) of our readers are just as delighted as I am for the show’s return. To celebrate, Digbeth Residents Association will be hosting weekly group screenings of the series at The Spotted Dog. Come along to enjoy the show in the fitting atmosphere of a period Digbeth pub with fellow fans. Members of Digbeth Residents Association, including Chairperson John Gordon and Secretary Pamela Pinski, were invited to the show’s premiere last Sunday at the Cineworld. We’ve included some photos of the team hobnobbing with the stars, including writer Steven Knight and Tommy Shelby himself, Cillian Murphy, below. That’s all we know for now, and we won’t be giving any spoilers of the first episode, but we can’t wait to find out more once Peaky Blinders is back on our screens next week!